Could financial plain packaging break Australia's debt addiction? Home Viral news Could financial plain packaging break Australia’s debt addiction? Could financial plain packaging break Australia’s debt addiction? We are bombarded with emotive ads selling debt through dreams of home ownership, new cars, tropical holidays and financial freedom or, even more dangerous, through fears of missing out while others get ahead using debt. They are so successful at their messaging that even three-year-olds know that you can buy something you can’t really afford using debt. Internet giant Google stopped taking ads from payday lenders, putting their products in the same category as illegal drugs, guns and tobacco. 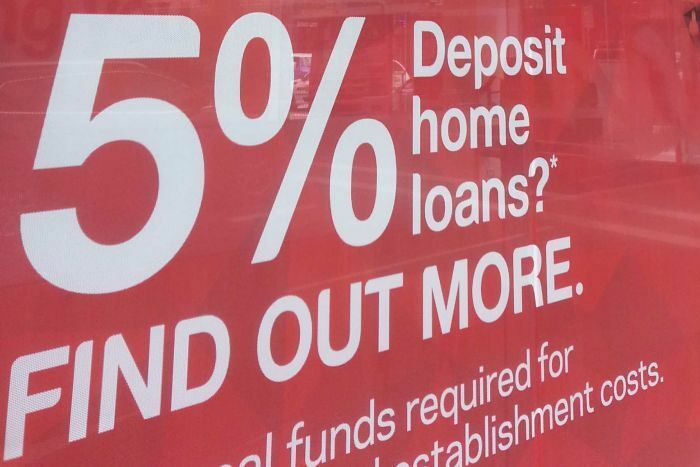 While payday lenders are at the extreme end of the lending sector, their advertising tactics are little different to the major banks and non-bank lenders. In fact, banks actively target children with “financial education” programs, which happen to also be great ways to acquire customers who may end up with the institution for a lifetime through customer inertia. Westpac went as far as targeting parents with accounts for their unborn child, earning the bank a Shonky Award from consumer group Choice. But at least the products they are selling to children are savings accounts and, given low levels of household saving are a national economic problem, that’s probably a good thing. 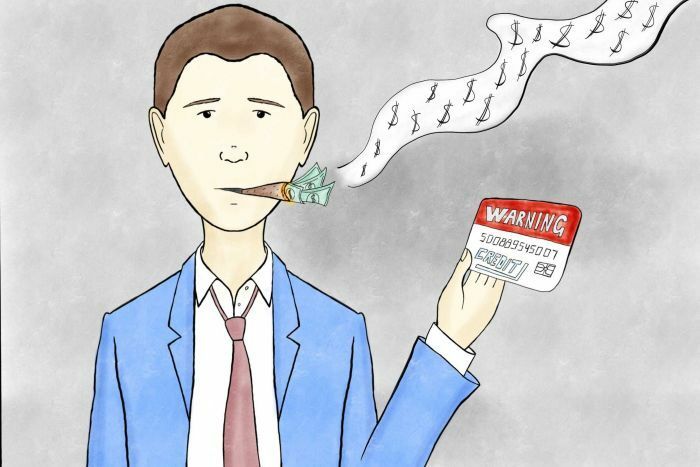 The more dangerous financial advertising is that selling debt. How the first home buyer coach helps the couple buy their house is unclear but, given the other properties in the ad were selling for more than a million dollars, an extremely large home loan seems very likely. Tune in to the television and you also see plenty of ads for how personal loans and credit cards can help you go on holidays, buy cars and other consumer goods or pay urgent bills. What most of these loans don’t mention, or only mention in the fine print, is how long it might take you to repay the debt, the interest you’ll end up paying and the other things you’ll have to sacrifice to do so. Advertisements for financial products and credit products should give a balanced message about the returns, features, benefits and risks associated with the product. Benefits should not be given undue prominence compared with risks. That has left Australia with a debt problem. A big, bad debt problem. 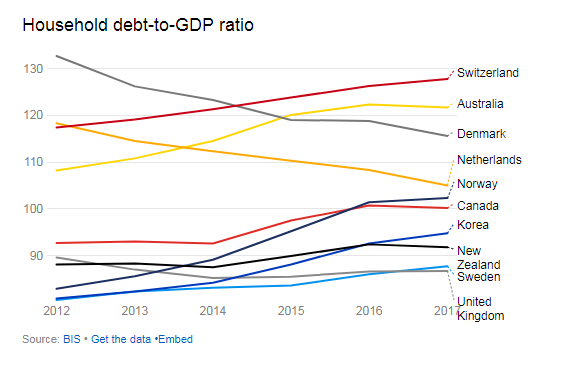 And it’s not government debt that’s the issue, where Australia is middle of the pack among the exclusive, highest-rated AAA club we are a member of. It is household debt that is the nation’s Achilles heel. Australia ranks second in the world for household debt levels, sitting just below the Swiss, at 122 per cent of GDP — that means it would take a year and 79 days of the nation’s total economic output to pay off what households owe, and that doesn’t include interest. Why do we have so much debt? Record low interest rates, deregulated finance that has allowed for bigger loans to more people and a national obsession with real estate boosted by property owner friendly tax and welfare policies have all contributed. Unwinding some of those policy decisions — through higher rates, more banking regulation and less tax breaks on property — would no doubt put downward pressure on household debt levels. Aspects of these policy shifts have been canvassed, some proposed and a few enacted, with the result that Australia’s biggest housing markets are in decline as loan growth slows, which should see household debt start easing off. But there is another idea that hasn’t been widely canvassed that could help Australians kick the debt habit. In the same way that the Government banned tobacco advertising and forced the companies to show the after effects on their packaging, perhaps lenders should be made to do something similar. Given that home loans and credit cards are not linked with gruesome cancers, something more akin to the plain packaging aspect of tobacco regulation seems most applicable. This would allow banks and other lenders to advertise the products they have available, their interest rates and conditions, but not to use emotive messaging to sell their loans. No more actors playing first-home buyers at an auction, or happy couples on a holiday paid for with a personal loan, or purchasing at a shop with abandon using their credit card but apparently never having to foot the bill. Instead of an exclusive focus on the short-term lifestyle debt can facilitate, the ads would focus on the nature of the product — the interest rate, the term (if applicable) and the amount of repayments and interest on a standard sample loan amount. Marketing and consumer behaviour expert Professor Paul Harrison says his own research shows how distracting and persuasive emotive imagery can be, which contributed to the banning of unsolicited credit card limit increase offers. “Consumers did not look at the interest rates, or the details of the limit, but were drawn towards imagery, colours, and bolded statements such as ‘get a little more out of every day’, coupled with images of people watching large screen TVs,” he explained. Professor Harrison says other research shows psychological manipulation, such as the image of an attractive woman in a loan advertisement, had a positive effect that was the equivalent to a 0.5 percentage point drop in the interest rate. This works by exploiting the “peripheral route” to persuasion. “The major policy concession tends to be a requirement for information disclose, i.e. providing the consumer with ‘information’, regardless of what is presented around the information,” he observed. Although he adds that they may still not understand it, even if they consider it. We encourage promoters to create advertisements that not only meet the minimum requirement of not being misleading or deceptive but that also help consumers make appropriate decisions. Advertisements should give balanced information so that consumers can understand the nature of the product or service being advertised. Balance is important for ensuring that the overall effect of an advertisement creates realistic expectations about a product. Evidence from the early years of tobacco plain packaging shows such moves do have an impact — the combination of plain packaging and graphic health warnings led to a statistically significant decline in the proportion of the population who smoke. Econometrician Dr Tasneem Chipty estimated that the 2012 tobacco packaging changes resulted in more than 100,000 fewer smokers than would have been the case otherwise. This was a 0.55 percentage point reduction in smoking rates, or about a quarter of the total decline. So, while increased tobacco taxes and the general trend away from smoking appear to have been more influential, plain packaging did substantially cut smoking rates. A ban on emotive debt advertising could reasonably be assumed to have some effect on the take up of credit. But such restrictions are incredibly unlikely to happen. Tobacco companies fought tooth and nail against plain packaging, even unsuccessfully suing the Australian Government. Honduras, a tobacco exporting nation, is still pursuing Australia through the World Trade Organisation. Gambling companies have been equally resistant to any significant restriction on their ability to advertise during sporting fixtures, targeting problem gamblers when they are most vulnerable. The most dangerous opposition confronting any government considering such advertising restrictions is not necessarily from the companies selling the products. According to data from Standard Media Index, domestic banks spent $78 million on advertising across various media platforms during the first three months of this year. SMI only measures ad spend done via agencies, with industry figures estimating that a similar amount again is paid directly to the media companies. Assuming that’s correct, it means banks are paying media companies more than $600 million a year for advertising slots. It’s a large pool of money that Australia’s struggling media companies can’t afford to lose, and there’s little doubt they would lose a fair chunk of it if the effectiveness of the ads were reduced by restricting their content. So one wouldn’t expect to see this idea gain a lot of traction.